Papua New Guinea's legal fraternity, led by a band made up of security and armed forces, paraded into an impressive traditional ceremony to mark the start of the legal year. The event also included the official ground breaking ceremony for the new Waigani National Courts Complex - designed by a consortium of architects led by Peddle Thorp. 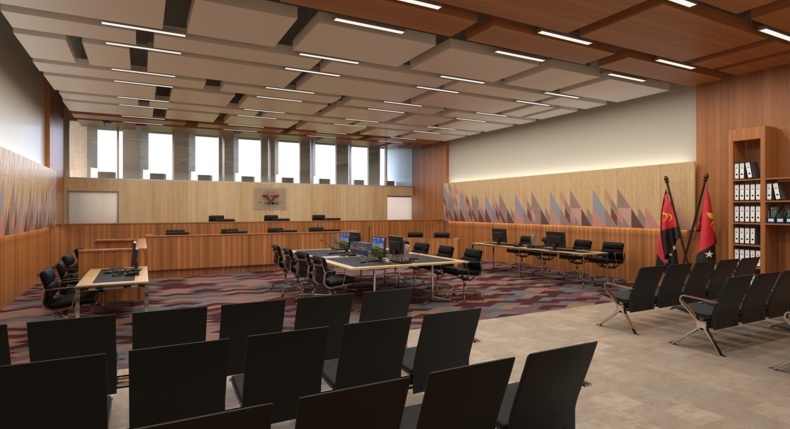 The redevelopment will add 25,000 square meters of new buildings to the existing courts, including 15 new courtrooms, a ceremonial Banco court and thoughtfully designed public spaces. Chief Justice of PNG Chief Sir Salamo Injia said "Easy access to judicial services by the people at all levels of the community is a key priority of the Judiciary". The new court complex is part of the Facilities Development Program and will serve as the headquarters for the three high courts.Peddle Thorp's Brett Hudson attended the ceremony and said he felt privileged to take part. "It signifies a very exciting milestone for all those involved in this important project", he said. Construction is expected to take more than three years, and is due to commence in late 2015. Mr Hudson said the design of the new complex was developed in collaboration with the National Judicial Services of Papua New Guinea to create secure yet accessible buildings. "Our design establishes layers of security for the complex, whilst maintaining a focus on the needs of the people who will use and visit the buildings", Mr Hudson said. Representing Papua New Guinea's woven material culture is a significant design element of the prominent ceremonial Banco court, which will be wrapped in a woven screen. The woven theme will be carried through to the complex façade screen. The project's architecture team is made up of Peddle Thorp as Principal Design Consultants, supported by James Cubitt Architects and PTW Architects from Sydney providing specialist court planning services.